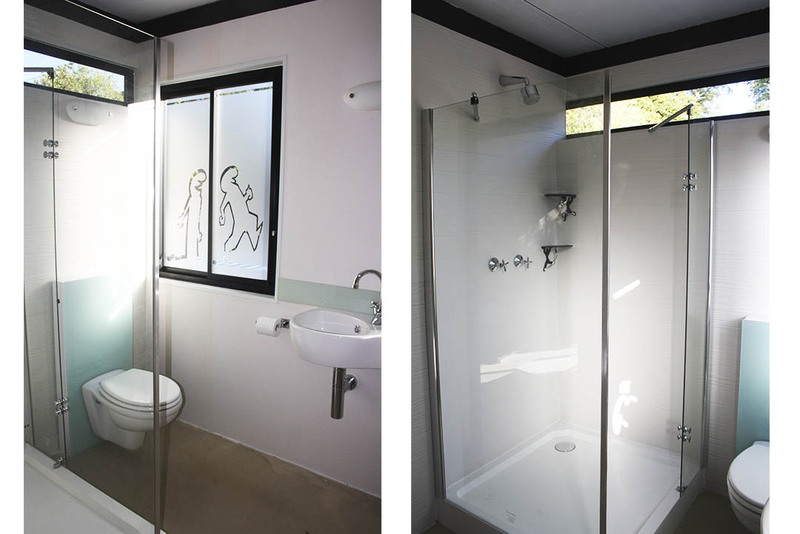 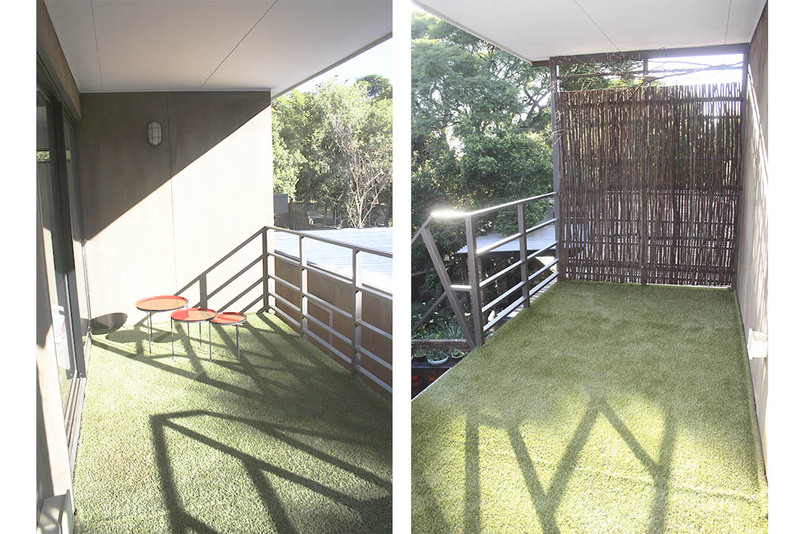 The client wanted their mother-in-law to move in with them, but have a personal space of her own. 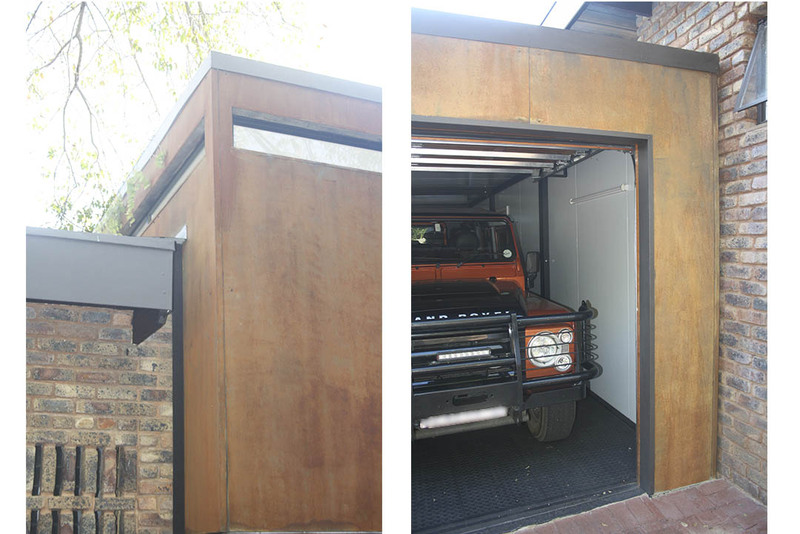 Additional garage space was a priority as two teenage boys would soon park their own vehicles alongside the mother-in-law’s. 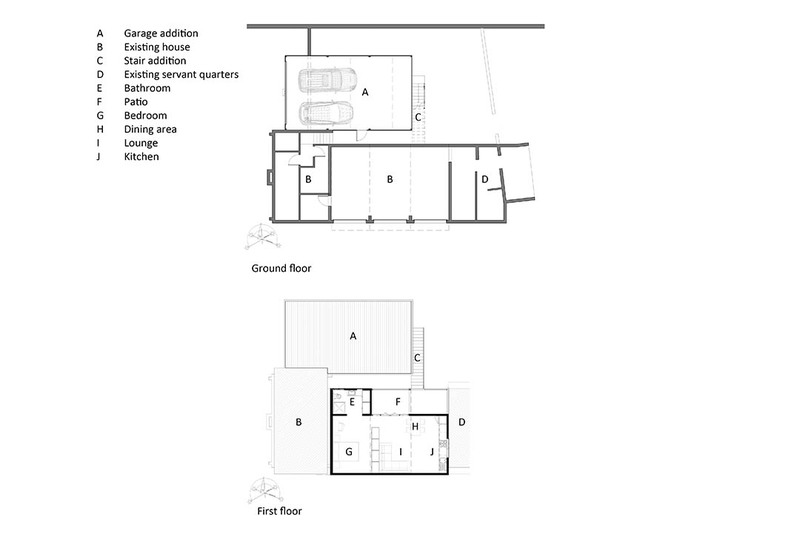 To meet these needs, three Modul8 units were manufactured and added onto the existing home as a 66sqm apartment on the existing triple garage of their architect designed ‘flat roof’ house, as well as another 3 Modul8 units as extra garages/storage space. 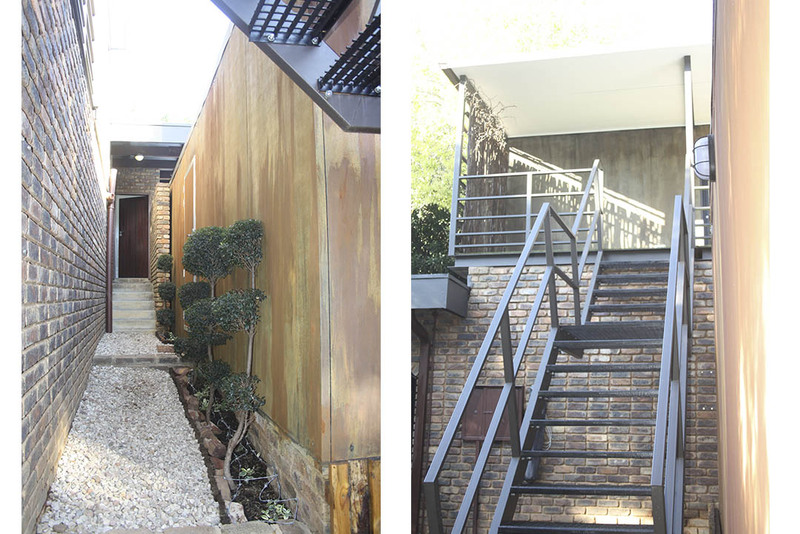 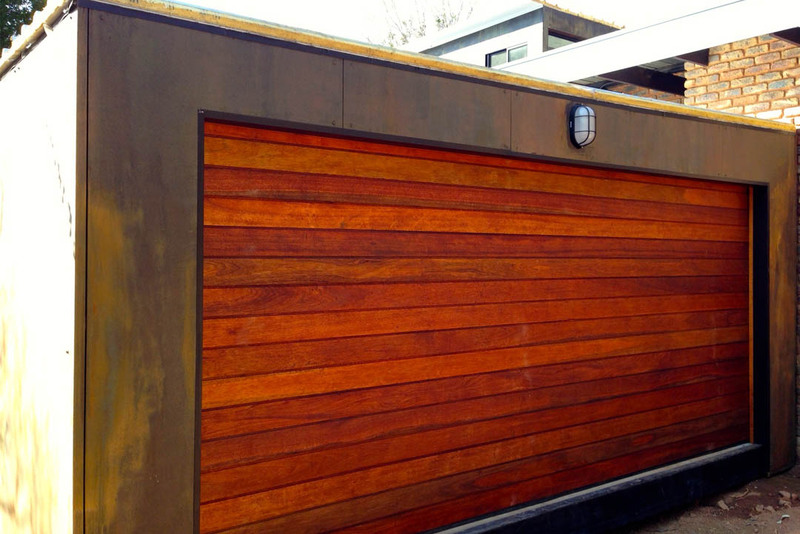 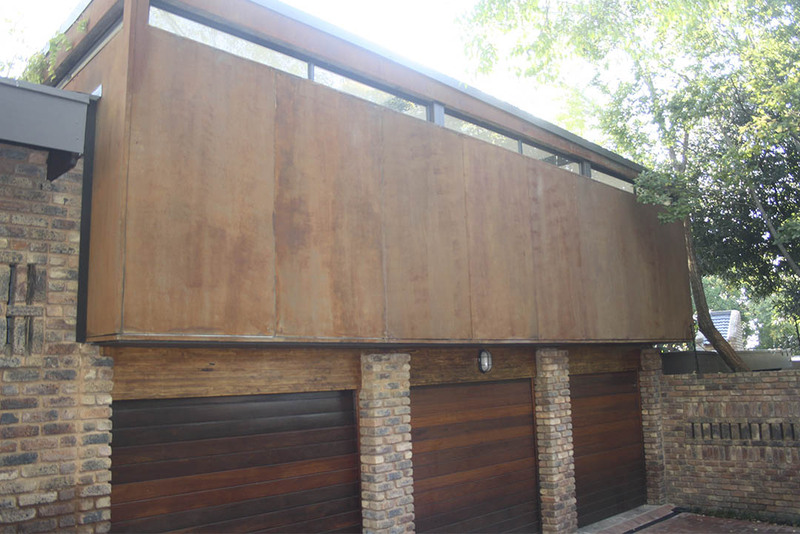 The architect designed 70s flat roof house had to retain its character and special features. 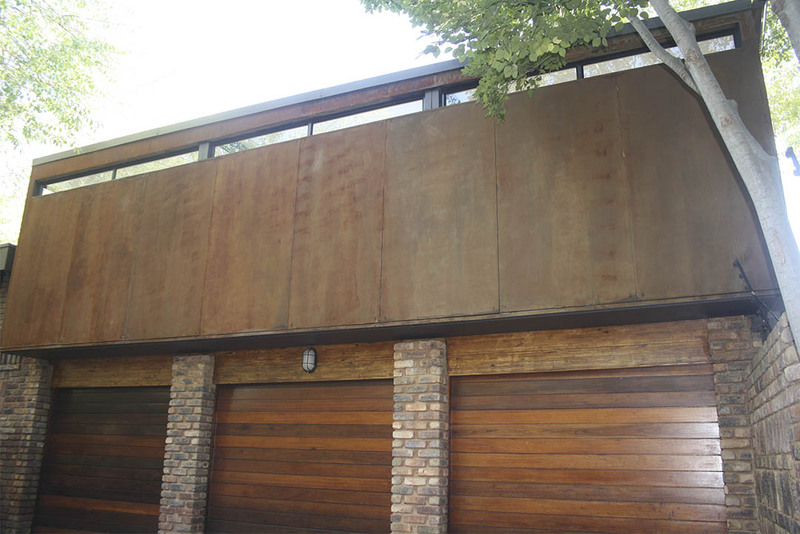 Therefore we decided to add a ‘rusted box’, comprising of three M8s, on top of the three existing garages as to indicate that this is a later addition, but still ‘fit in’ with the existing vernacular. 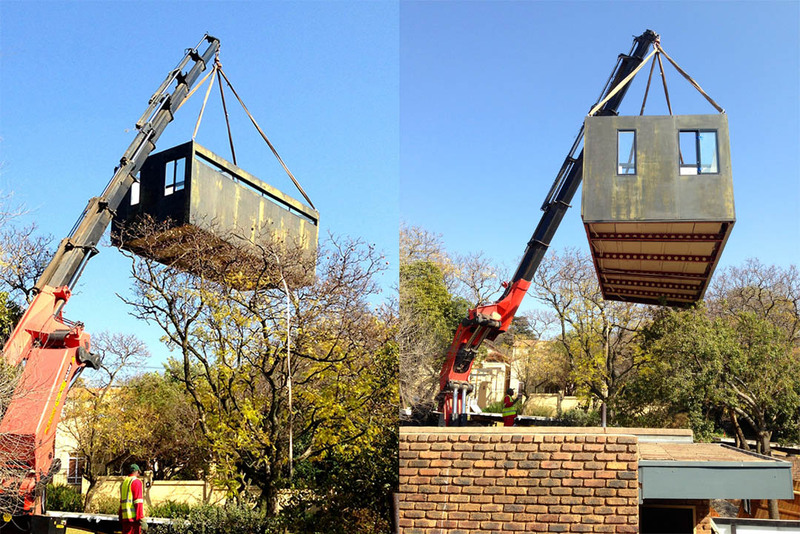 During delivery large trees needed to be protected, necessitating an extra large crane to be hired to lift the Modul8 apartment units off the trucks in the street, onto the existing garages and Modul8 garage units next to the house. 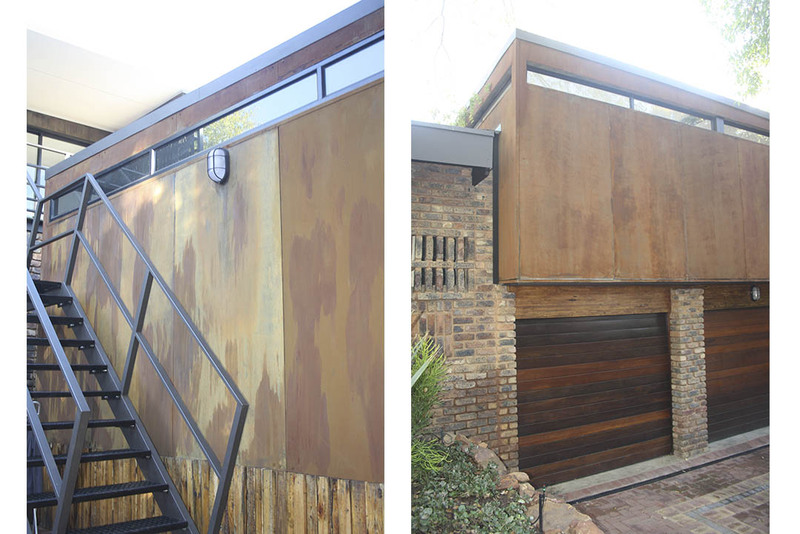 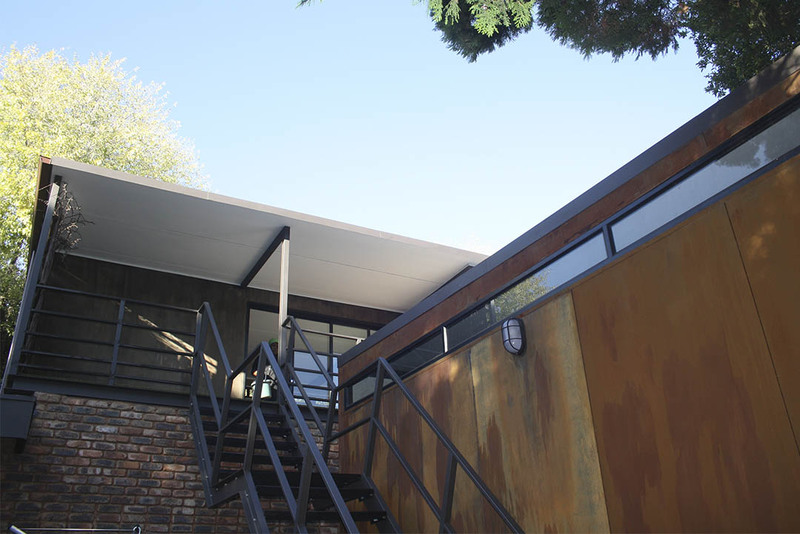 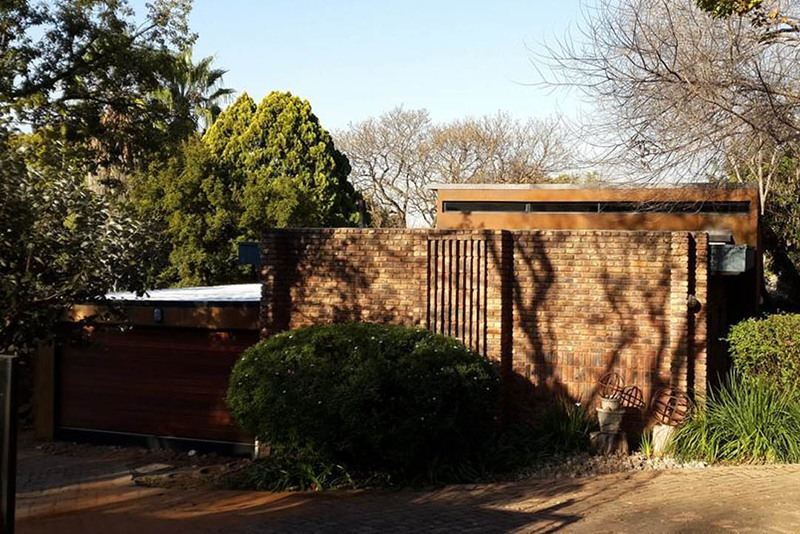 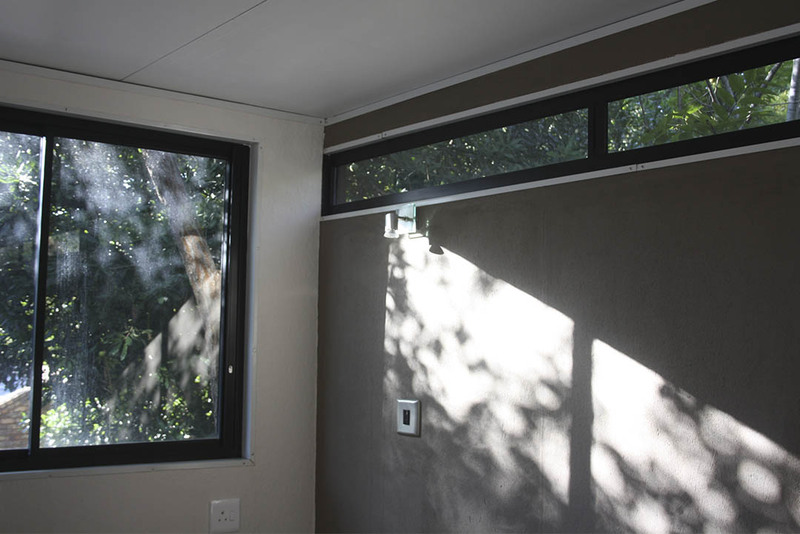 Flat insulated roof panels not only compliment the flat roofs of the existing house, but also serves as insulation against the harsh Highveld summer sun.